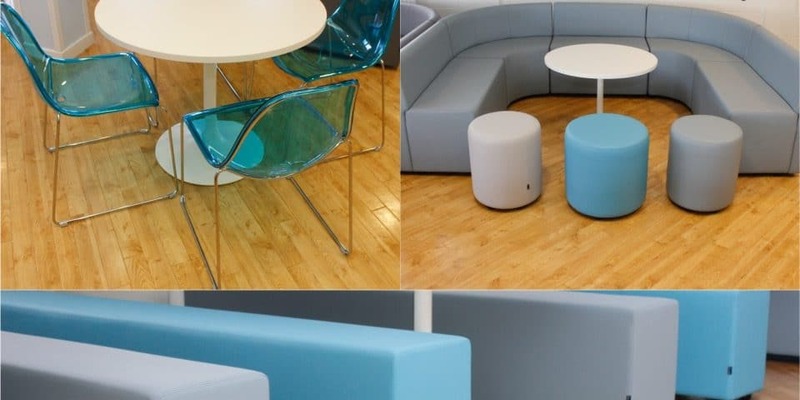 Situated in proximity to the centre of Oxford, independent girl’s school Oxford High School approached Spaceist with a request for a specially designed furniture package for its sixth form common room. The spacious area required an adaptable and robust range of furnishings suitable for both the study spaces and recreation areas. 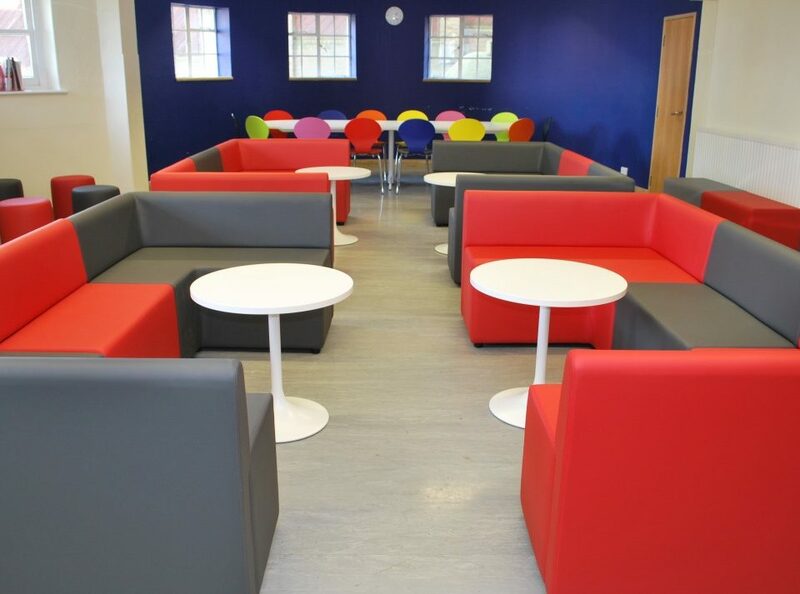 We approached the project by designing a suitable furniture package for the spacious sixth form common room featuring a contemporary selection for the study and recreation spaces. 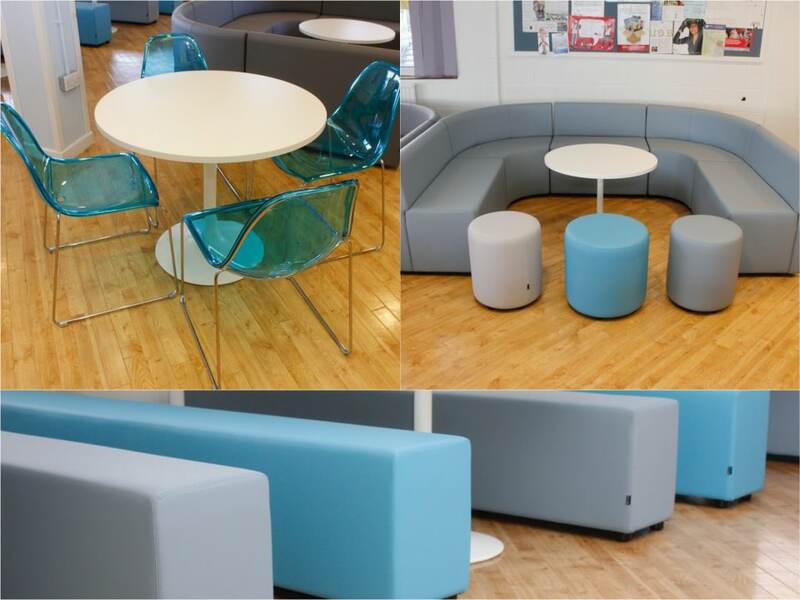 To enhance the use of the spaces for multiple activities, we selected a range of flexible items. 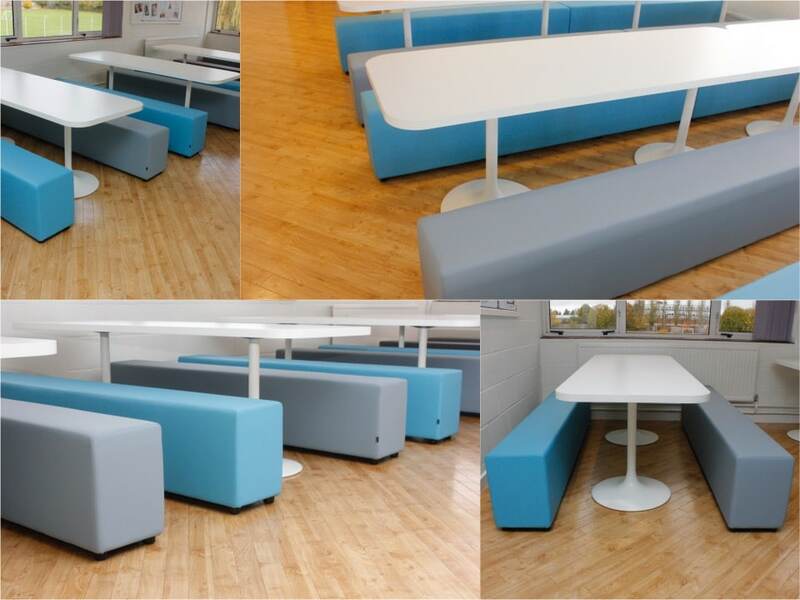 For the study and dining area, a comfortable and hard wearing option was necessary. The Soft bench dining sets were chosen for their simple design and robust compositions. 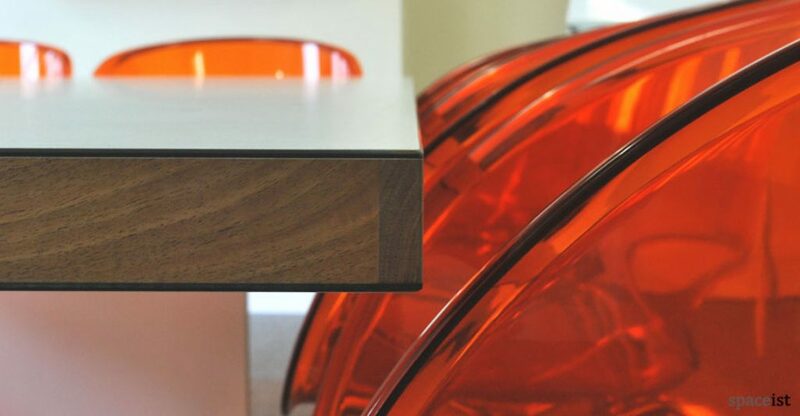 The set includes a sturdy and solid Formica laminate top with modest designed base legs. The set also includes a soft bench seat upholstered in a faux leather vinyl making them easy to maintain. The light grey and cool blue adds to the sophisticated design of the interior palette. 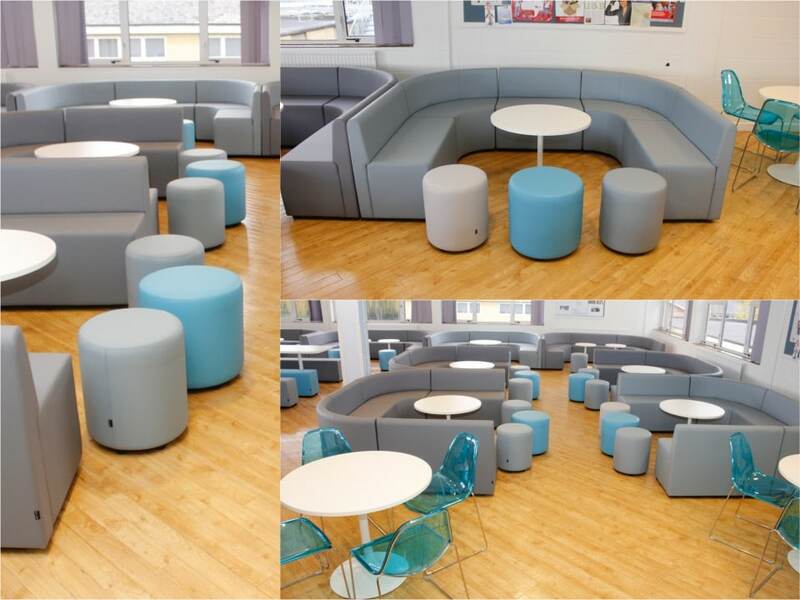 For the recreation spaces, the choice of seating selected was a range of U-shape sofa’s from the versatile Modular Cubes range. 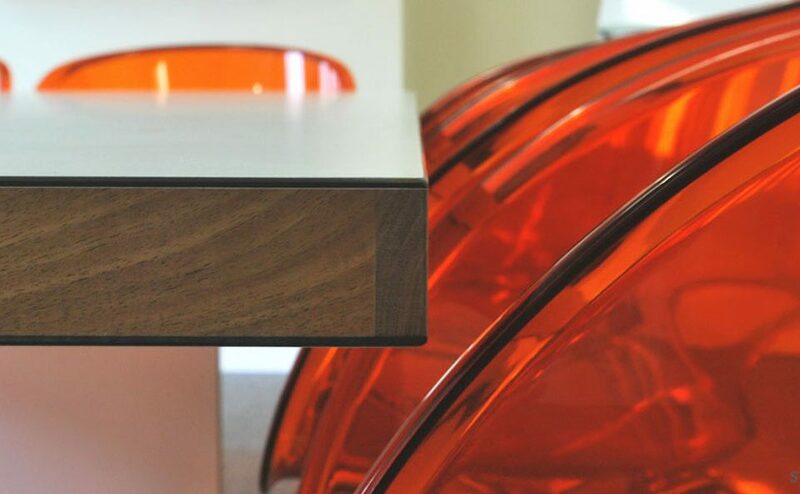 By linked a range of modules, a range of large to medium sized sofas are created. 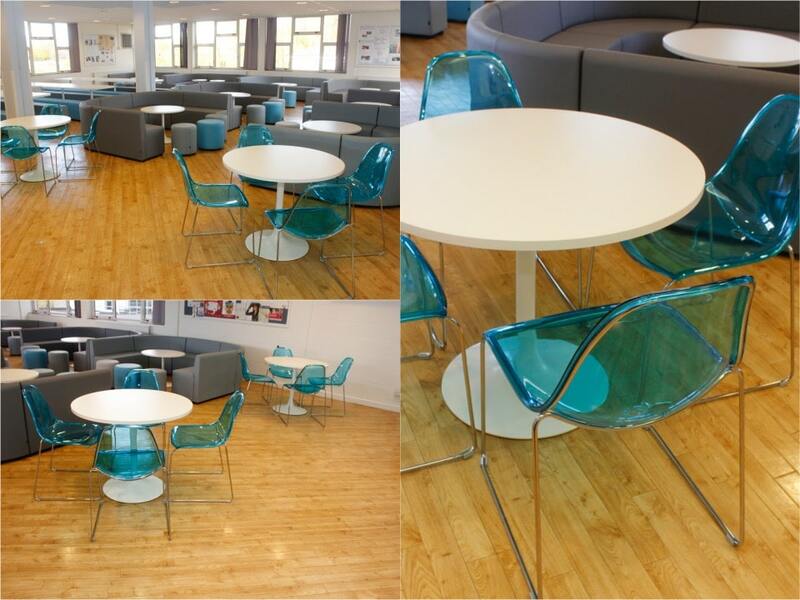 To provide further seating and a flexible option, we included a selection of round modular cube stools. Upholstered in the matching cool blue and light grey vinyl material, the stools and sofas create a streamlined and modern look. The café space features clean and modest Trumpet round tables, with a trumpet base. 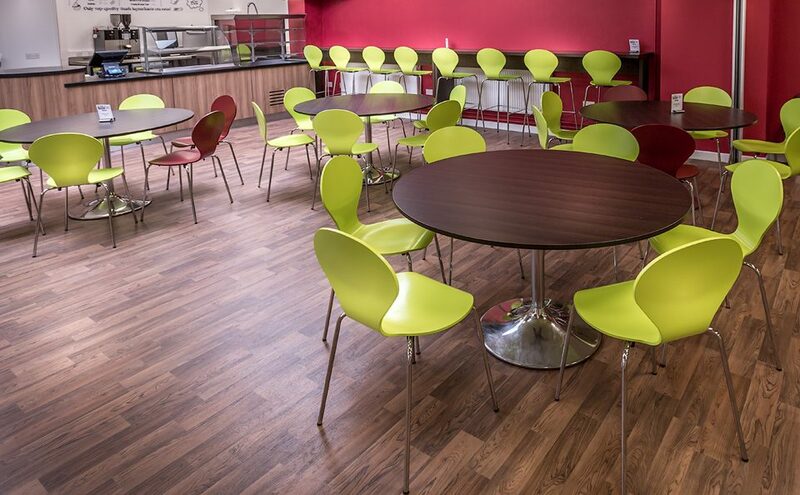 The solid laminate top has been chosen in a modest white finish to add to the minimal backdrop of the common room. To finish off the seating options, we supplied the Daydream café chair with a transparent polycarbonate shell in a matching blue tone. 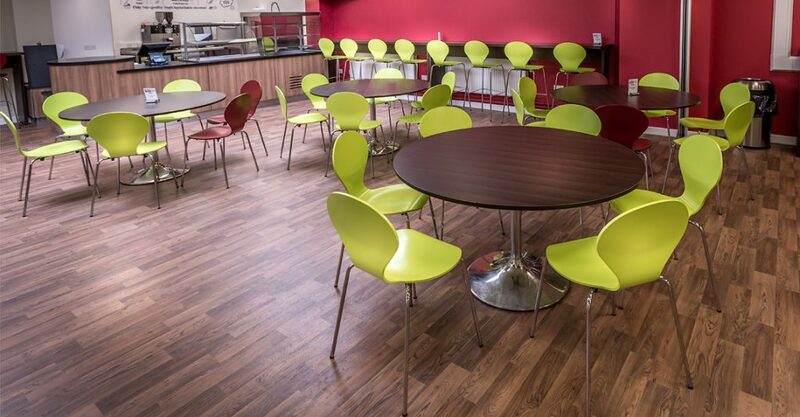 Available in both solid or transparent colours, the chair is ideal for busy and contract projects with its sturdy 16mm round steel tube frame. For storage or to make room for other uses, the chair can be simply stacked away. The final look of the spaces is both up to date and sophisticated. 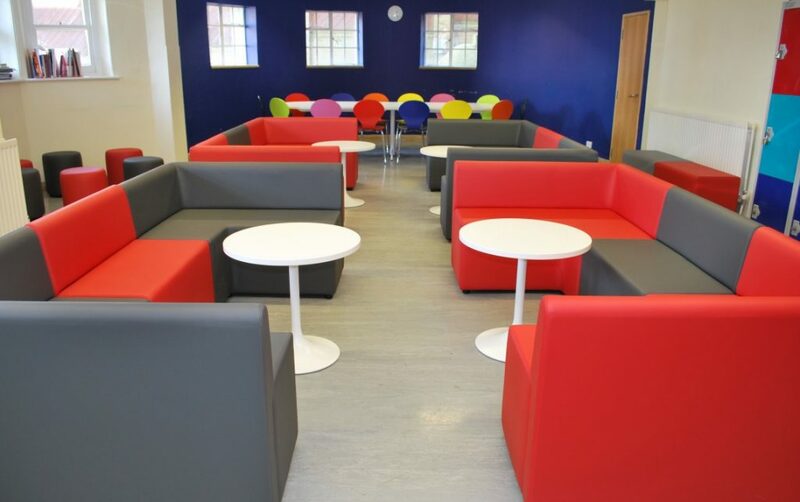 Through the design stage, supplying a furniture package that allows easy-maintenance, flexibility and durability without compromising on the aesthetic appeal of the sixth form common room was vital. By working closely to the requirements of our clients, we have successfully supplied a more then satisfactory furniture package.